Welcome back to our quixotic quest to find the Golden Age of the Hall of Fame. Up to this point, we have found that no such animal exists. There were fewer players elected to the Hall of Fame in the 1980’s than there had been in the 1970’s, and, in general there was some improvement in the caliber of the players inducted. As we concluded in Part 4 of this series, fewer than half of the former MLB players inducted into The Hall in the ’70’s were excellent choices, and some of the players chosen during that decade were just plain embarrassing. So let’s turn to the decade of spandex and leg warmers, and take a closer look at HOF voting patterns. Once again, for those of you scoring at home (or for those of you just reading this blog), BBWAA stands for Baseball Writers Association of America. V.C. are the initials for the Veteran’s Committee. Kaline and Snider are a fine pair of stars, much beloved in their respective baseball hometowns, Detroit and Brooklyn. When they were on the field, and you were at the park, all was right with the world, or soon would be. Funny thing about these two great players, neither one of them won an MVP award. Kaline, who just missed 400 career home runs by one, never hit 30-home runs in a season. Snider, on the other hand, reached 40 home runs in five consecutive years. Yet Snider hit only eight more homers in his career than Kaline. Kaline was the better defensive outfielder (16.3 WAR to -2.1 WAR.) They each led their league in hits one time. Kaline’s career WAR (91) was better than Snider’s (67.5) though their offensive WAR’s were much more similar. Snider’s career OPS+ 140 was better than Kaline’s 134. Either way, you couldn’t go wrong. Chuck Klein was a fantastic player with the Phillies for five years from 1929-33, during which he won an MVP award and finished 2nd in the voting twice. During each of those five seasons, he amassed at least 200 hits and scored over 100 runs. He also led the N.L. in home runs and total bases four times each. His career started to go downhill fast after age 32, and his career WAR (39.2) is on the low side, but his career OPS+ of 137 is highly respectable and, it’s worth noting, is the same as three players who came later: Jack Clark, Will Clark and Reggie Smith. Overall, despite a mediocre career WAR, Chuck Klein belongs in The Hall. I am proud to say that in the year of my high school graduation, the HOF added two worthy inductees. Bob Gibson is a no-brainer. What surprises me is that somehow it fell to the Veteran’s Committee to induct Johnny Mize. How did the BBWAA miss this one? How does a ten-time All-Star (who also missed three of his prime years to WWII), who led his league in home runs four times not crack 45% of the vote? Mize accumulated a WAR of 70.2, and his OPS+ was an outstanding 158, the same as Hank Greenberg. 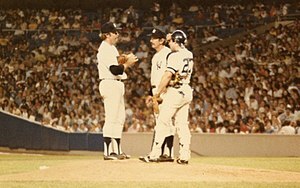 To my knowledge, Mize is the only player in history who hit 50 home runs in a season (51, actually) who struck out fewer than 50 times (42) in that same year. Mize was a great player. Kudos to the V.C. for inducting him into the HOF. Hank Aaron and Frank Robinson in the same year? Are you kidding me? Even the BBWAA wasn’t going to screw this one up. Aaron is a top five all-time player; Robinson arguably a top ten. If you’ve been following along in this series, then you know that the V.C. has a fetish for Giants players from the 1920’s and ’30’s. Enter Travis Jackson, a slick-fielding, light-hitting infielder who played his entire 15-year career with the Giants during that era. Career WAR 43.3, OPS+ 102. Not an automatic out, but not nearly enough of a bat to justify induction into the HOF. Thus we have the first HOF mistake of this particular decade. I hope you Giants fans are happy. True or False, a corner infielder with a .267 career batting average, who never led his league in hits, runs scored, home runs, batting average, total bases, on-base percentage or slugging percentage, but who did lead his league twice in double-plays grounded into, with a career OPS+ of 104, does not belong in The Hall? If you said, “True,” normally, I’d have to agree with you. But not with Brooks Robinson. There are some players whose particular skills in one facet of the game are so utterly superior to anyone else who ever played the game, or who will ever play the game, that this aberration needs to be recognized for what it is. True greatness. Brooks Robinson’s career Defensive WAR (27.3) is the best Defensive WAR in Major League history. The next closest infielder, the brilliant Ozzie Smith, comes in at 21.6 WAR. The next best defensive third baseman on the WAR list, Buddy Bell, registered a 16.5 WAR. Robinson, the 1964 A.L. MVP, was also the 1970 World Series MVP, a perennial All-Star, and he won 16 consecutive Gold Glove awards as well. Brooks Robinson deserves to be in the HOF. Juan Marichal pitched virtually his entire career (all but 13 games) with the San Francisco Giants during the 1960’s and ’70’s. He topped 20 wins six times, leading the N.L. in wins twice. His career WAR (64.0) is certainly HOF territory. His career ERA+ (123) is one point better than Bob Feller’s. Despite smashing Dodger’s catcher Johnny Roseboro over the head with a baseball bat in August, 1965, Marichal belongs in the HOF. George Kell was a respectable third baseman with limited power (just 78 career home runs) who nevertheless made 10 All-Star teams in the ’40’s and ’50’s, and finished in the top five in MVP voting twice. Only once did he reach 5.0 WAR in a season. While comparisons to Carney Lansford and Bill Madlock are gratuitous, they are not unwarranted. I have a theory, probably wrong, that when the economy is strong, Hall voters become more generous with their votes, and when the economy is sour, they become stingier with their votes. If you have nothing else to do tonight, there’s a topic for you to research. And so it was with Hall of Fame voters in 1984. They inducted five retired players, seemingly regardless of merit or talent, into The Hall because, well, let the good times roll. 1) Killebrew – Career WAR: 61.1, OPS+ 143, 573 home runs, 1,584 RBI. Nice choice. 2) Aparicio – Career WAR: 49.9, OPS+ 82, 9 time stolen base leader, 9 Gold Gloves. Nice defense, but checking the numbers more closely, not Ozzie Smith nice. That OPS+ is awful. Questionable choice. 3) Drysdale – Career WAR: 65.7, ERA+ 121, 209 wins, two 20-win seasons, three-time K leader, one Cy Young award. Essentially, he was Kevin Brown with a better P.R. agent. Check the numbers. Good choice, if you don’t mind a relatively short peak. 4) Ferrell – Career WAR: 22.9, OPS+ 95. One of the worst players in The HOF. 5) Reese – Would you believe that his career WAR: 66.7, is the highest of these five players? Frankly, I didn’t expect that. He has the same WAR as Eddie Murray. His OPS+ of 98 isn’t great, but it’s a lot better than Aparicio’s. Here’s another reason Reese belongs in The Hall. Solid choice. Lou Brock: Let’s begin with the positive. 3,023 career hits, including four 200-hit seasons. 1,610 runs scored. 938 stolen bases, including 8 times leading the league in that category. A record (until Rickey Henderson broke it) 118 steals in one season. Five top-ten MVP award finishes. Six All-Star games. Did you know that only 20 players in history struck out more times than Lou Brock? Did you know that Brock’s career on-base percentage (.343) is the same as Otis Nixon and Randy Winn? Did you know that in addition to leading the league in steals 8 times, he led in times caught stealing 7 times? Did you know that he led the league in errors made by an outfielder 7 times, and that his career Defensive WAR was -4.8? Brock’s career WAR was only 39.1, and his OPS+ was just 109. In retrospect, Tim Raines, for example, was a much better ball player. Still, Brock’s positive numbers are significant enough to merit enshrinement in the HOF. A defensible, if somewhat flawed, choice. When Hoyt Wilhelm retired after the 1972 season at age 49, he had pitched in more games (1,070) than any man in history. This was pretty much his claim to fame, and his ticket into Cooperstown. Since his retirement, four other pitchers have surpassed his total. But how good a pitcher was Wilhelm during his two decades in the Majors? He finished his career with a record of 143-122 and 227 saves. The modern “closer” hadn’t been invented yet, so that was a lot of saves back then, though it is worth mentioning that Wilhelm never once led his league in saves. His career ERA+ was an impressive 147, tied with the unlikely duo of Dan Quisenberry and Walter Johnson. Wilhelm’s career WAR was 41.3, but it’s certainly harder to accumulate a high WAR when used primarily as a reliever. Although the “Most Games Pitched” stat is a bit of a yawner, his other peripheral numbers merit Hall inclusion, given the limitations of his position. The Veteran’s Committee loves guys like Enos “Country” Slaughter, player’s whose reputations were somewhat inflated and who got along well with the guys. Slaughter was a good player who, like several of the V.C.’s picks, had a couple of big years and lots of decent ones. His career WAR was a respectable, but not automatic HOF triggering, 54.1, and his OPS+ was also a nice, but not awe-inspiring 124. Reasonable choice. Who is the most underrated player in the Hall of Fame? If there is such a thing, it might be Arky Vaughan. Playing mostly for the Pirates, but also for the Dodgers, he accumulated a WAR of 75.6, scored and drove in runs, drew walks, slashed doubles and triples into the gaps, and played respectable defense. He led the N.L. in runs, triples, walks, and on-base percentage three times each. He led all N.L. position players in WAR three times. He won a batting title. He led the league in steals once. And he was named to nine All-Star games. Tragically, he died at age 40, just four years after retiring from baseball. This is one the V.C. got right. With Harmon Killebrew having been elected in ’84 and Willie McCovey in ’86, we may have located the genesis for the arbitrary idea that HOF caliber first basemen should have 500 home runs to their credit. McCovey, a prodigious slugger (521 home runs) certainly belongs in The Hall. Bobby Doerr: See what happens when you put Travis Jackson in the HOF? You make it that much easier to induct solid-but-not-great players like Doerr. Doerr was a good (but not great) defensive second baseman who hit with surprising power (223 home runs) for a middle infielder. He played in a good hitter’s era in a nice hitter’s park. His career OPS+ 115, and WAR of 47.7, shed further light on the subject. At this point, he has to be considered a mid-range HOF’er, a category that I’m pretty sure the original founders of The Hall never had in mind. Ernie Lombardi caught for 17 seasons, but apparently, he didn’t catch much. He led the league in Passed Balls nine times, and in errors four times. His career Defensive WAR was -2.7. But boy, could he rake, finishing with a career batting average of .306, winning a couple of batting titles along the way. He won the N.L. MVP award in 1938, though he was only the sixth best player in the league. A career WAR of 39.0 means, even for a catcher, there was less here than meets the eye. A sentimental pick by the V.C. While it is true that modern statistical analysis has not been very kind to Catfish Hunter (WAR: 35.4, ERA+ 105), I have to say that in my subjective opinion, Hunter belongs in The HOF. He was a legend in his own time, sporting a great mustache, nickname, and an assortment of pitches that usually resulted in 20-wins per season. The ace of two great teams in the ’70’s, Hunter pitched on five World Series Championship teams. He won at least 21 games in five straight seasons. He won a Cy Young award in 1974, and also finished 2nd, 3rd and 4th in the voting in three other seasons. He pitched in eight All-Star games. He threw a perfect game on May 8th, 1968, vs. the Carew-Killebrew-Oliva Twins. I wasn’t a fan of the A’s or the Yankees back in the ’70’s, but I do get the larger than life persona. Sure, he was not all that different from Jack Morris, whose possible election to The Hall I strongly oppose, but this is my personal bias, and I’m sticking to it. Billy Williams was widely considered a fine, consistent player throughout the 1960’s during his 16 seasons with the Cubs (he broke in with the Cubbies at age 21 in 1959.) He was N.L. 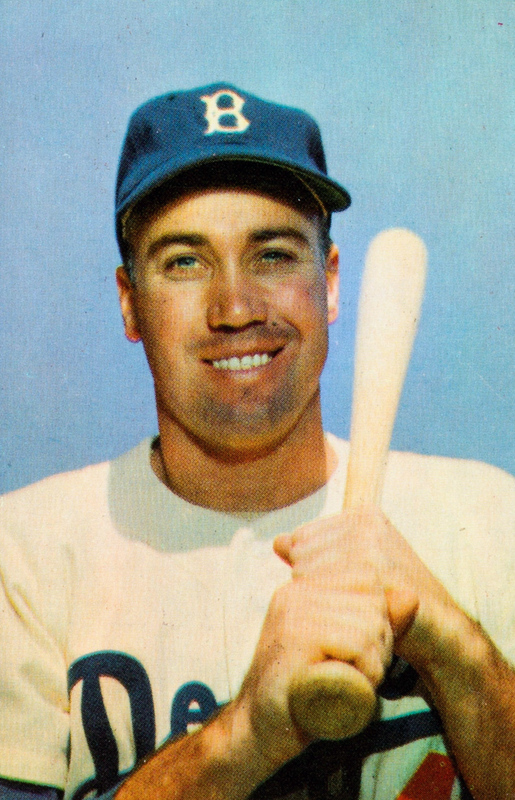 ROY in 1961. He led the N.L. in games played five times, and held the N.L. for most consecutive games played (1,117) until Steve Garvey broke his record in 1982. Williams could hit for average (he won a batting title in 1972 at age 34), he could hit for power (426 home runs), he could score runs (1,410), and he could rack up total bases (4,599, good for 36th all-time.) Williams is also in the top 50 all-time in runs created and in extra base hits. And his career OPS+ of 133 reveals that his hitting success was not just a product of cozy Wrigley Field. Billy Williams earned his induction to the Hall of Fame. Pops Stargell seemed like a great guy to be around, leading the “We Are Family” Pirates of ’79 to an upset victory over the Orioles in the World Series that year. He was also co-MVP that year with Cardinals first baseman Keith Hernandez. Stargell, by the way, played his entire 21-year career with the Pirates, from 1962-82. Here are Stargell’s career numbers, and here are Fred McGriff’s. Is it just me, or are they quite similar? And if Stargell belongs in The Hall (and I wouldn’t argue that he doesn’t), then where’s the love for McGriff? How would you like to be in a spelling bee naming the Hall of Fame inductees of 1989? Like Willie Stargell, Bench and Yaz each played their entire careers with one team apiece. Bench may have been the greatest catcher of all time. Yaz was the heart and soul of the Red Sox from 1967-78, the most heart-breaking years in BoSox history. Obviously, they both belong in the HOF. Schoendienst was an underrated second baseman for the Cardinals. He was named to ten All-Star games. His career Defensive WAR was over 7.0, which is very nice. He garnered 2,449 hits, including a league-leading 200 in 1957, but his career OPS+ was just 94, and his overall WAR was 40.4. A bit of Willie Randolph combined with Alvin Dark. There are worse players in The Hall; Schoendienst is not an embarrassment. Not a bad haul, certainly better than what the 1970’s produced. But it is worth noting that, as with the decades prior to the 1970’s, around one-third of Hall inductees were less than obvious, excellent choices. Does that percentage, then, reflect what a normal HOF equilibrium, and if so, will that equilibrium persist in the succeeding decades? We’ll take a closer look at Hall voting patterns of the 1990’s in the next installment of this series. Hey Adam, My top two most underrated players in The Hall are the same as your two: Davis and Vaughan. I guess great minds think alike! Davis, Vaughan, and to a lesser extent Gordon all are underrated because they were inducted so long after they retired. Like… sooooo long. If you think about it, they lost out of several decades of being “known” as a “Hall of Famer”. The strangest one is Clarke, who was quite worthy and inducted in 1945. He seems to never be talked about. I just went back and looked at Clarke’s numbers (again.) I think you are right that he is underrated, perhaps by me as well as others. I’m guessing the reason why is that he was buried under an avalanche of questionable turn-of-the-century Irish ballplayers by the Veteran’s Committee back in the ’40’s. He also looks a little bit like Satch of the old Bowery Boys. Bill, Your work is beginning to rival the research of Ken Burns and the documentary he did on baseball. Very Impressive! By the way, would you please let me know which one of my blog addresses come up when you receive this comment? I am doing another blog and I need to know what my comments show when I respond to blogs. Hi Rich, You are WAAAYYYY too kind. But I thank you. And, of course, I’ll be sure to check it out. Your writing has always been an inspiration for me. What a great rendition! I’ll be back for more! Many thanks, Robert. I really appreciate that. Glad you like the series. Very nice work on this series, I wish I thought of it. 20+ years ago I had a dice baseball game, I forget the name, but it was similar to Strat-O-Matic. It included many HOFers as well as non Hall superstars. I put together an 8 team league, and actually managed to complete a 100 game season. It heavily favored the pitchers, as only 6 players hit over .280. Only one player managed to hit over .300. Arky Vaughan lead the league with a .308 average. Since then I always thought of him as an underrated HOFer. Hi Kevin, When I was a kid, I used to use the stats on the backs of baseball cards to play head-to-head match-ups between teams like the Reds vs. the A’s. I would randomly take a baseball card of a player from each team, flip them, and compare stats. The player with the better stats would “win,” and go into a winner’s pile for that team. Once I’d exhausted all the cards of the players on each team, I would count the number of winning cards for each team, and that’s who won the World Series. Very primitive, but on rainy days when I was by myself, it was a fun way to kill time. Glad to hear that you’ve always had the same impression of Arky Vaughan. Some guys are too soon forgotten. Ha, I plan to! In fact, it was seeing #6 go up that reminded me I had only read #5 halfway. I see a future blog-post coming out of this conversation: “Ten Most Underrated Players in The Hall of Fame.” I will give you full credit for it. I became familiar with Arky Vaughan via the Strat-O-Matic Hall of Famers set. My buddy and I would draft teams and play against each other, and I’m pretty certain Vaughan was usually the starting shortstop for the team who didn’t get Honus Wagner. It’s crazy that he’s probably among the top five shortstops of all-time and a lot of baseball fans (who aren’t historical nuts) have barely ever heard of him. The fact it took him until the ’80s to get into the Hall of Fame is a shame. Dan, Hopefully, Vaughan will become better known throughout baseball circles. He certainly deserves it. It’s funny… you could probably say the same thing about George Davis. Adam, Funny you should say that. Take a look at what I say about George Davis in Part 6. Grew up on stories of Yaz! Thanks for all the info! And thank you for reading. I see you have a Red Sox blog. I’ll be checking in to read it.